Disclaimer: This post contains affiliate links, which means at no additional cost to you, I may receive a commision for items purchased. But don’t worry, I never recommend products that I don’t believe in. There is no doubt in my mind that the key to a happy classroom with happy students and happy teachers is successful classroom management. But, how do we get to that point? Behavior management strategies are vital in order to help students learn how to self-regulate and become aware of themselves, their peers, and the adults around them. Without a strong behavior management system in place, your classroom will quickly spiral out of control. You’ll be running for the door before you even reach winter break. Trust me, I’ve been there. If your teacher prep program was anything like mine, behavior management wasn’t on the class list. A few professors might have said, “make sure you have strong classroom management,” but nobody explicitly said how to accomplish this. If you’re a new teacher or a teacher that feels like they’re struggling, I’m here to help. I’ve been in your shoes before. 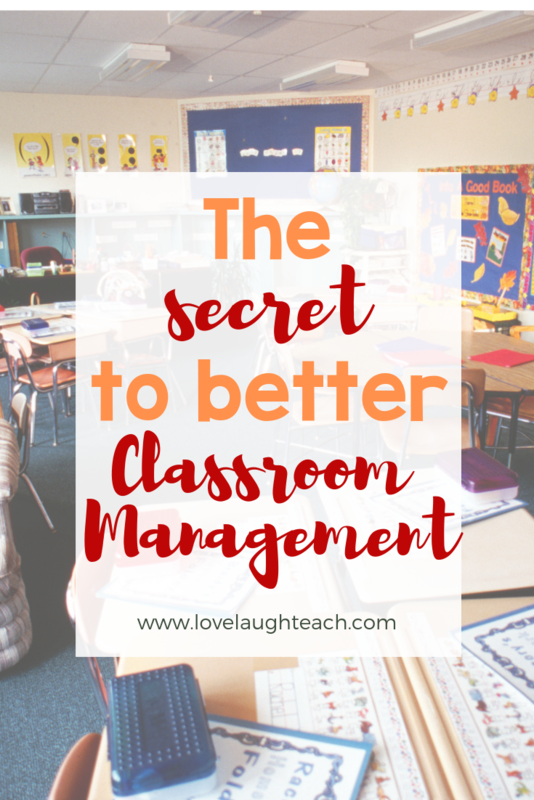 So, what is the secret to better classroom management? It’s to get students to be more independent, self-regulating, and self-aware. How do we accomplish this? Well, keep reading and you’ll find out! Before we get started, I want to make a couple recommendations for awesome books on classroom management strategies that saved my sanity a few times. The Classroom Management Secret: And 45 Other Keys to a Well-Behaved Class is full of excellent strategies to help you get started on your path to classroom management success. If you want to transform your classroom and the way you teach, Whole Brain Teaching for Challenging Kids: Fast Track: Seven Steps to Teaching Heaven is the way to go. It’s a condensed version of Whole Brain Teaching for Challenging Kids: (and the rest of your class, too!). I’m more of a Cliff Notes person so I like the condensed version myself. And last but certainly not least, if you like games AND classroom management, Whole Brain Teaching: 122 Amazing Games! : Challenging kids, classroom management, writing, reading, math, Common Core/State tests is the book for you! Ok, enough recommendations, here are my top 6 secrets to better classroom management. Without a doubt, the number one secret to better classroom management is clear procedures and routines, plus clear consequences to follow. If you haven’t yet thought about your classroom procedures and routines, you can download my free list of Classroom Policies and Procedures here. Classroom procedures and routines are the backbones to any successful classroom. Without them, everything will fall apart. When I first started teaching, I didn’t really have a plan in place. I had a few simple rules and that’s it. I expected the students to know them and follow them, but I didn’t have a plan. You need a plan. Write out every procedure and routine you can think of and plan out exactly how you want students to follow them. It’s also important to have clear consequences for students who choose not to follow your procedures. Don’t make it complicated, but be thorough. Our students are at an age where their brains are developing rapidly. It takes a lot of energy for the brain to enforce self-control and self-awareness. We can support the brain by giving students a snack break and what I like to call, “brain breaks”. Having a snack break after a few hours of learning is an excellent way for students to regain focus. Check with your school’s nutrition policy before offering student’s snacks. In my classroom, students bring their own snacks and eat them at a designated time. I notice an immediate difference when we get back to learning. Brain breaks are also a great way to regain student focus. In my classroom, I use Go Noodle. This website is full of fun and engaging videos to help students release excess energy. The physical environment is very important to student success. Is your room full of clutter or are the walls decorated in busy, over-stimulating materials? In order for students to be focused and attentive, we need to have a clean, organized learning environment. A lot of new teachers make this mistake by trying to copy the classroom decor they saw on Pinterest. Your classroom doesn’t need to be full of beautiful decor for your students to be successful. The website I recommended early, Go Noodle, also has wonderful videos for calming students, and refocusing energy. This is a big one for me, and if you’ve read any of my other posts, you know I’m a big advocate of morning meetings. Read about morning meetings here from Responsive Classroom. There are four parts to a morning meeting. This is one of the books that transformed my teaching and my classroom. Click here to check it out! Greeting. Every student greets one another by name. There are tons of fun ways to do this. Sharing. Students share something about themselves and others actively listen. Other students can ask questions and show interest as well. You can determine what they share each day or leave it open. Group activity. Make it fun and interesting. It can be academic or not. Regardless of what game it is, students are building connections and relationships. Morning message. Give students a message to help them get their day started on the right foot. Make it interactive. For more ideas on morning meeting activities, check out 80 Morning Meeting Ideas for Grades K – 2 or 80 Morning Meeting Ideas for Grades 3 – 6. Both are wonderful and I highly recommend them! You have no idea what your students are going through in their personal lives. Show your students you truly care about them and that they matter. If a student seems like they’re having a bad day or they’ve been late to school three times this week, ask them what’s going on. Most of the time, students will not openly share their personal life unless we ask them to. Even if they don’t share with you at first, keep trying. Eventually, they’ll let you in and you’ll learn so much about them. Instead of being aggressive and getting angry when students are misbehaving or continually breaking the classroom rules, be compassionate and dig deeper. You’ll be surprised about how much your students’ personal life affects their learning. And a bonus is, you’ll be building deep, meaningful relationships with your students, which will help you gain their trust and understanding. As teachers, we’re used to standing in front of the classroom and talking. All. Day. Long. Get out of that habit and give your students more power. They can learn so much from each other. You’ll be amazed at how much your students really know and how much they’re willing to share when you give them a platform. Students will learn to rely more on each other than on you for all the answers. I create engaging and interactive mystery games that will help get you started. You can try one for free here. It is the perfect platform to get you started. Your students will be working on critical thinking, inferencing, and team building. The discussion at the end of the lesson is also very powerful. If your students enjoy it, I have over 20 mysteries to choose from, which will help keep students engaged all year long! 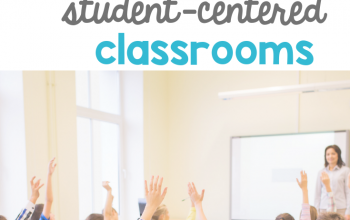 Be sure to check out, How to Regain Control of your Classroom. Hello! I know this is kinda off topic however I’d figured I’d ask. Would you be interested in exchanging links or maybe guest authoring a blog post or vice-versa? 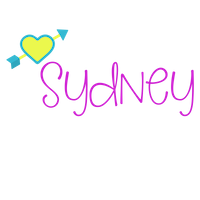 My site goes over a lot of the same topics as yours and I feel we could greatly benefit from each other. If you’re interested feel free to send me an e-mail. I look forward to hearing from you! Great blog by the way!